Typography is the art and technique of arranging type to make written language legible, readable, and appealing when displayed. The arrangement of type involves selecting typefaces, point size, line length, line-spacing, letter-spacing, and adjusting the space within letters pairs. Typography is the one of the most vital part of any eLearning content. 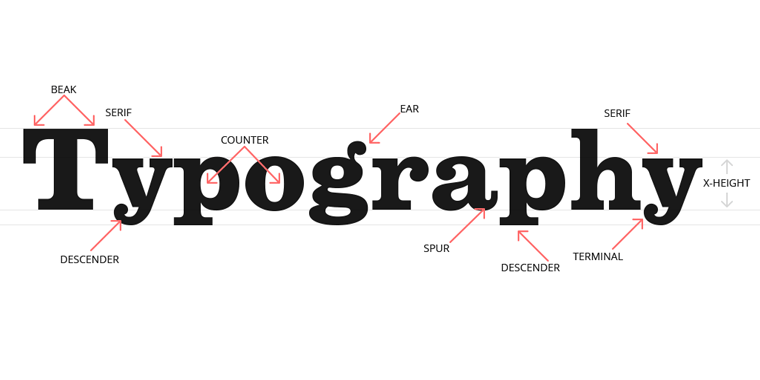 Accordingly, a basic knowledge of typography is a must for any eLearning designer. Good typography enhances readability, encourages information processing, creates a visual hierarchy, and even engages readers’ emotions. Here is a 7-step guide to making your course more effective with typography in mind. These are some of the lessons to be learned by eLearning professionals. Overall continuity in design helps learners know what to expect and how to find information easily throughout the course, as they only have to get used to one structure and can then focus on the content. Keep text location consistent from screen to screen, above all, and use similar formatting. If you use bullets, use them the same every time. Always place headings and subheadings in the same place. This will allow for maximum readability, as inconsistency can confuse learners. The number of fonts you use is an important consideration too. While it’s okay to work with just one font, it can make the course stale. Use no more than one or two fonts, three at most. They create hierarchy and interest but can easily be overdone. The body of a text should occupy 25-40% of the screen, with line spacing in proportion to the text size. The key thing to avoid is a dense “brick” of text, which loses the eye quickly. Resist the urge to adjust margins to fit in more text; if you can’t make it more concise, pick a more condensed typeface or go down a font size. A small font is easier to read than a cramped one. According to facts, there is a 20% increase in comprehension due to effective use of whitespace. So make sure an ample amount of space surrounds the text. Learners naturally scan from point to point rather than reading line by line. In order to make this work for you, use typographic contrast to create emphasis on certain text. Not only does this enhance the visual appearance, but it also directs the learner’s attention to the important content. Whether using size, color, spacing, or shape, remember that one appearance should be used for “ordinary” content, and one for critical elements. Use the second one sparingly, lest it lost impact. Serif letters with short lines coming off the edges. The impression is formal and traditional. Serif fonts are best suited for print. Sans-serif letters without the above short lines. The impression is informal and playful. Despite the reputation, these letters are excellent for digital media. Script fonts resembling handwriting. Definitely a poor choice for large blocks of text. For decorative use informal, idiosyncratic fonts and they work well as headlines, but not in body copy. For eLearning screens, sans-serif fonts are almost always the best bet, as they are the most easily legible. Verdana is a traditional choice, as it was designed specifically to display well on computers.